Welcome to Chicago Industrial Equipment Inc.
Chicago Industrial Equipment, Inc. is the undisputed leader when it comes to top quality aerial work platforms, aerial lifts, telescoping forklifts and industrial forklifts in IL. Our inventory includes more than 500 scissor lifts, booms, telescopic handlers, forklifts and a wide range of construction and industrial equipment. With more than 35 years of relevant industry experience to draw upon, you can trust us for all of your lift equipment needs. Find aerial lifts and forklifts for sale from some of the most respected names in the industry. 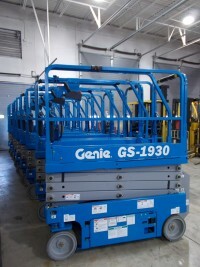 Our inventory includes brand new scissor lifts from Genie as well as a huge assortment of used aerial lifts, industrial forklifts and construction equipment from trusted manufacturers, including Caterpillar, Yale, JLG, John Deere, Hyster, Genie, SkyTrak, Nissan, Toyota and more. At our own on-site reconditioning shop, we can refurbish any lift truck from top to bottom. 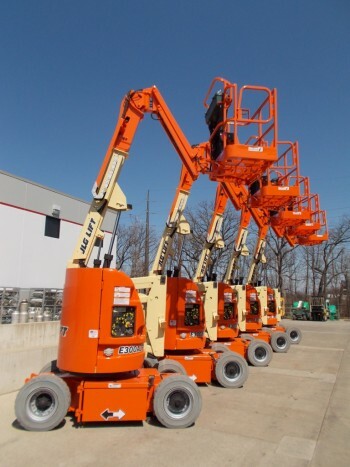 You can also take advantage of used aerial lifts for sale in “rental ready” condition. Either way, you get a machine that has undergone a rigorous inspection process to ensure it meets your high standards for quality and performance. 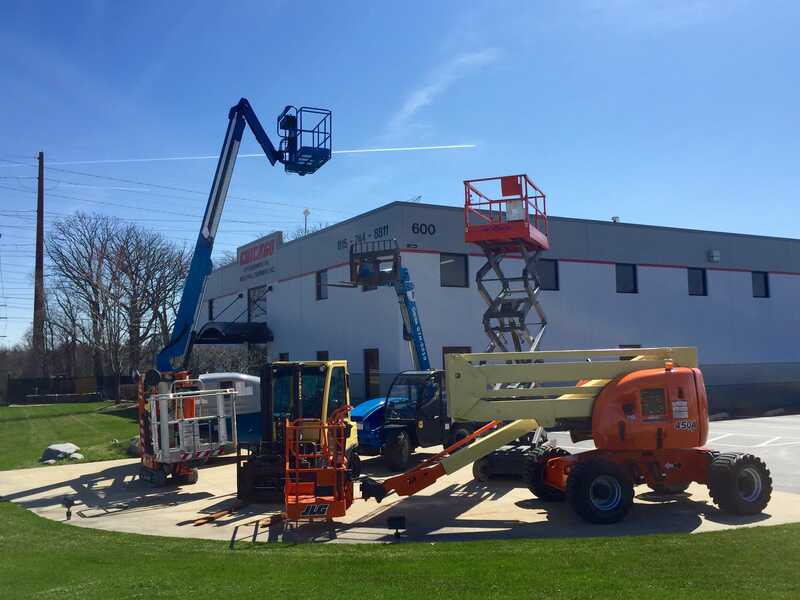 If you’re concerned about the cost of aerial work platforms or construction equipment, Chicago Industrial, Inc. can help. 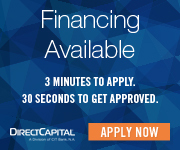 We’re affiliated with Direct Capital, a lender that has helped many companies just like yours acquire the equipment they need to take their business to the next level. Simply fill out and submit the convenient online form for prompt consideration. Chicago Industrial Equipment, Inc. is conveniently located in the Chicago suburb of Rockdale, IL. 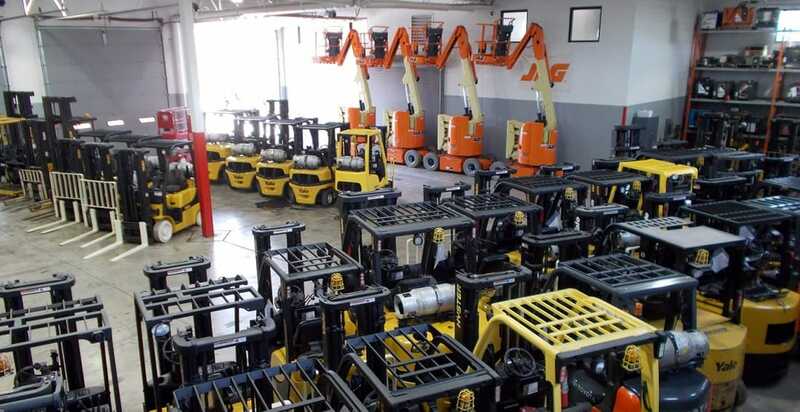 Our sprawling ten-acre property is home to our expansive yard, recondition facility and massive 50,000 square-foot showroom filled with the best selection of aerial work platforms, telehandlers, walkie stacker, reach truck and industrial forklifts for sale in the country. We can also ship equipment to just about anywhere in the USA! We invite you to browse our current inventory of top-quality new and used aerial work platforms, telehandlers and forklifts for sale. Contact us today for a no-obligation price quote. Look no further than Chicago Industrial Equipment, Inc. for the best aerial lifts and other construction equipment. We sell quality, serviced and inspected new and used equipment. Visit our 10 Acre Yard to View Our Inventory! 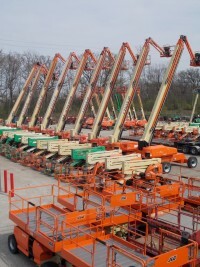 All of the equipment we offer for sale is located in Rockdale, IL. Our state of the art 50,000 sq ft. facility sits on 10 acres. We always welcome our customers to come inspect and operate anything in our inventory.